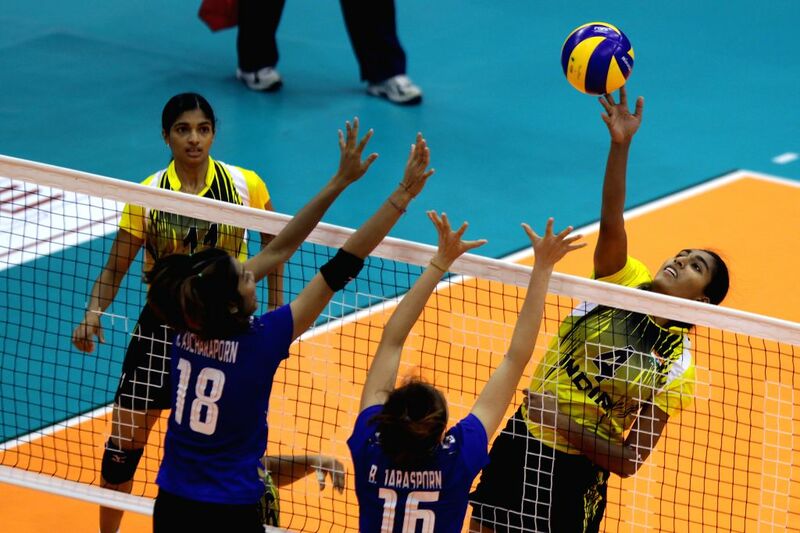 PASIG CITY, May 5, 2015 - Thailand's Ajcharaporn Kongyot (1st L) spikes the ball during the match against India at the 1st Asian U-23 Women's Volleyball Championship in Pasig City, the Philippines, on May 4, 2015. Thailand won 3-0. 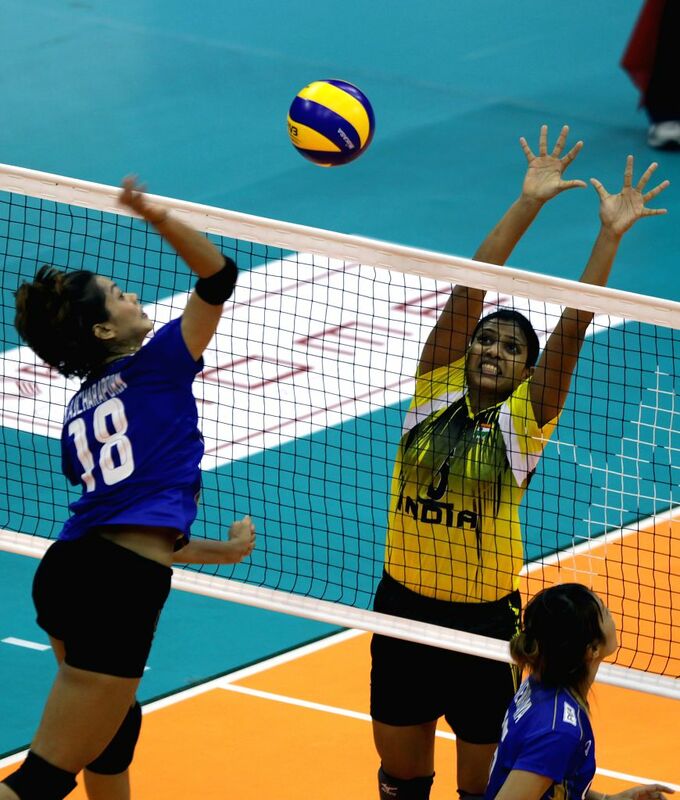 India's Ghosh Anusri (Top) spikes the ball during the match against Thailand at the 1st Asian U-23 Women's Volleyball Championship in Pasig City, the Philippines, on May 4, 2015. India lost 0-3. 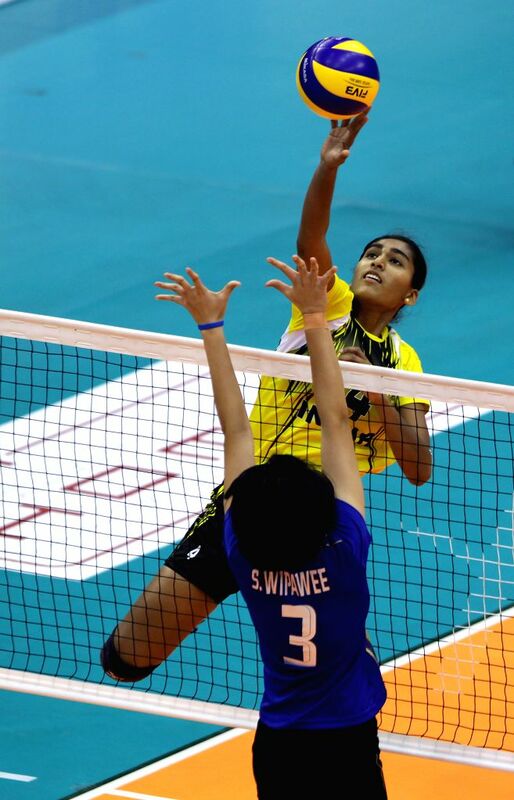 India's Muraleedharan Shyamala Poornima (R) spikes the ball during the match against Thailand at the 1st Asian U-23 Women's Volleyball Championship in Pasig City, the Philippines, on May 4, 2015. India lost 0-3.